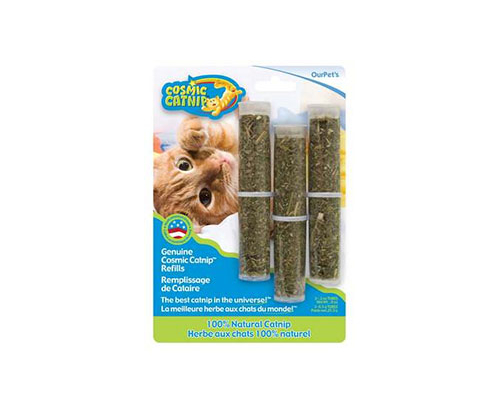 OurPet`s genuine catnip is North American grown and has a strong, aromatic fragrance. It is a 100-Percent natural herb that stimulates a harmless, playful reaction in most cats. Sprinkle on toys and scratchers to make them irresistible.